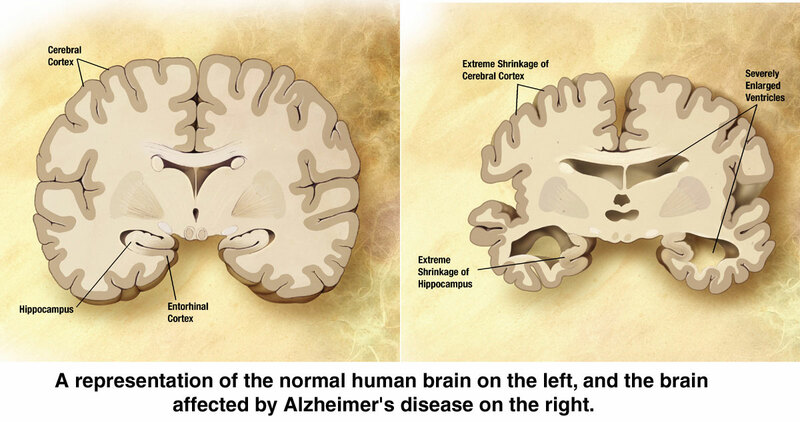 A representation of a normal brain on the left, and one affected by Alzheimer’s disease on the right. 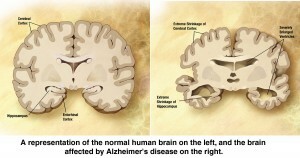 Read more about the Alzheimer’s brain. your suggestion. Be specific: tell us in which part of the site you would like to see your suggestion. 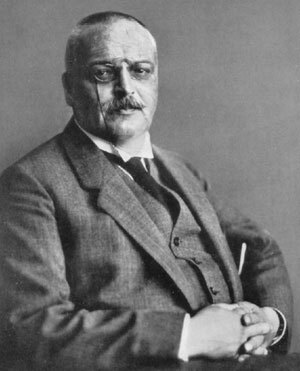 Read more about Alois Alzheimer and the discovery of the disease that was named after him in Dialogues in Clinical Neuroscience.